Lock in a great price for ANANTA Villa – rated 9.1 by recent guests! Good breakfast. Good staff. Bread is so good. Fruit and eggs are good . Even has a safe. The location is fabulous, walking distance to everywhere! Great location. Nice courtyard and comfy room. Clean. Their rooms are IMPECCABLY clean! Their free breakfast is off the menu and they are very accommodating. Great location between the two markets and great, friendly staff. 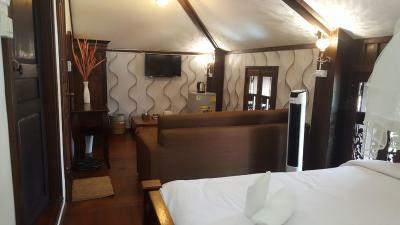 Very relaxed hotel that lets you enjoy the slow feel of Luang Prabang. Staff very helpful and friendly. Excellent location. Morning market right in ftont, night market, grand palace, phousi temple within 5 min walk. Tours, bus tickets can be arranged here. They also have motorbikes for rent. Breakfast not a buffet but you can order whatever you like from the menu. General area prone to mosquitoes, insect repellent spray may help. A lovely place to stay - friendly staff and it was very clean. ANANTA Villa This rating is a reflection of how the property compares to the industry standard when it comes to price, facilities and services available. It's based on a self-evaluation by the property. Use this rating to help choose your stay! One of our top picks in Luang Prabang.ANANTA Villa is located in Luang Prabang, a 4-minute walk from Night Market, and features free bikes and a garden. This 3-star hotel offers free WiFi. Local points of interest like Mount Phousy and National Museum are reachable within 1,500 feet and a 6-minute walk, respectively. At the hotel, all rooms have a closet, a flat-screen TV and a private bathroom. ANANTA Villa has certain rooms with mountain views, and each room is equipped with a patio. The rooms will provide guests with a fridge. Staff speak English and Lao at the 24-hour front desk. Wat Xieng Thong is one mile from ANANTA Villa, while Tourist Information Center is a few steps from the property. 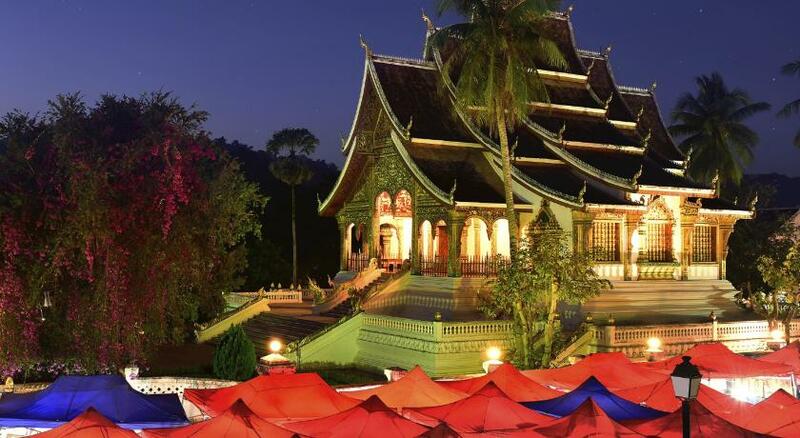 The nearest airport is Luang Prabang International Airport, 3.3 miles from the hotel. When would you like to stay at ANANTA Villa? House Rules ANANTA Villa takes special requests – add in the next step! ANANTA Villa accepts these cards and reserves the right to temporarily hold an amount prior to arrival. Kettle is too close to wall. Bathroom tends to collect water. Sink is too small. The hotel owner charge us more than what we book in the site, also didn't check our passport. when we check-out i got email from booking as no-show and deduct money from my credit card (which we already paid by cash at the property). So we made a call to the property but no one can communicate well (even with the local people). Non of them try to fix this problem and we had to double paid on our stay. Not a thing, staff were great and very helpful.The rooms and property are immaculate. Breakfast was great and such good value! We really loved our stay there. 1. Late for airport pick-up. 2. Shower head doesn't work well. 3. Forget to clean our room one day. 4. Narrow room. I almost can't open my luggage. 1. Near the night market. 2. Friendly and helpful staff. 3. Delicious breakfast. We like the noodles very much! 4. You can book the Tuktuk to waterfall. 5. Reply email in time. Wifi is not good...it’s on and off in the room and even at the lobby. 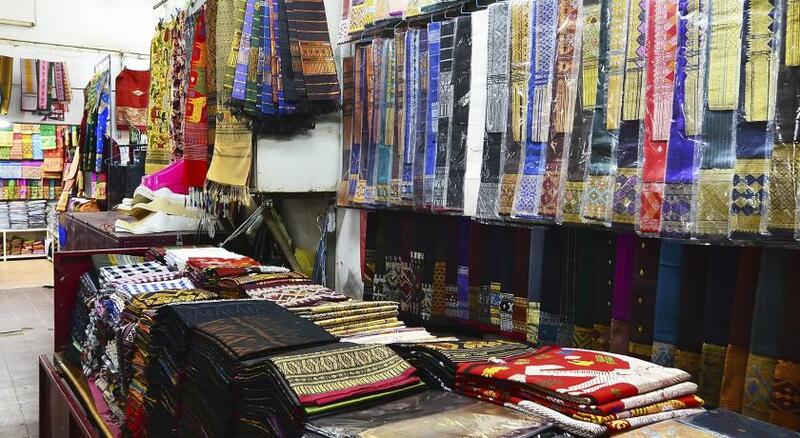 Location is great, next to the night market, day market, you can walk to Wat Xieng Thong Pagoda. You can reach many restaurants, cafe within some walks. There are many nice pagoda around. Friendly and helpful staff. They had an issue with the plumbing but got it taken care of. Everthing Good ,Nice place and i will comeback to here again. Great room and helpful staff. Good breakfast with several options. Walk from Main Street 50 meter. If not will be perfect.